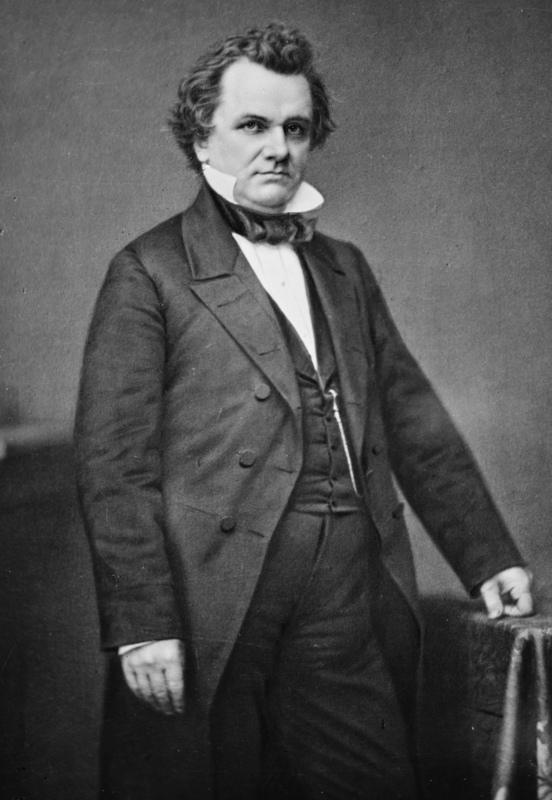 If the Senate wanted Civil War, Charles Sumner told them how to get it. They need only take the present territorial government of Kansas in as its legitimate government, rendering permanent the proslavery usurpation of its elections. The proslavery men on the ground, already not shy about violence, would surely step up their campaign to purge the land of dissenting whites. Antislavery men in turn would look more ardently to their defense. Money and guns would flow into the state from both sections and soon the violence would spread. Should the Senators wish to avoid that, they had a solution on hand. 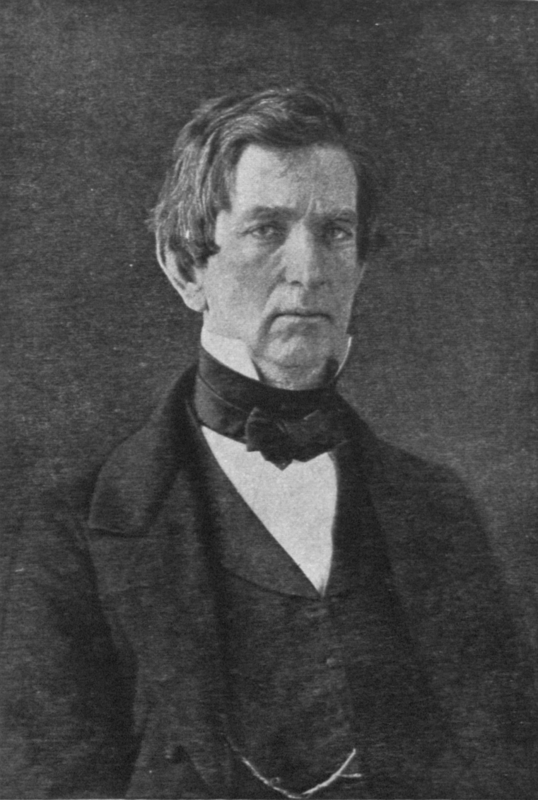 William Seward proposed junking Stephen Douglas’ bill to take the present government of Kansas and make it a state. Instead, the Senate should recognize the free state movement and its Topeka Constitution. They had all the officers of a proper government ready to go the moment Congress gave the word. Sheriff Samuel Jones kept a list. Rarely has any proposition, so simple in character, so entirely practicable, so absolutely within your power, been presented, which promised at once such beneficent results. In its adoption, the Crime against Kansas will be all happily resolved, the Usurpation which established it will be peacefully suppressed, and order will be permanently secured. 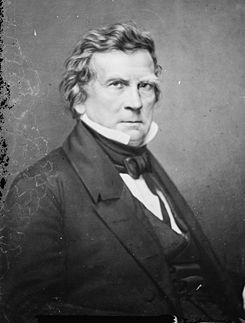 The country should thank William Seward for saving the Union. Sumner spent a brief paragraph praising him that must have gone over well during the rehearsal, then moved on to why Kansas deserved statehood. First, the Kansans asked for it and statehood would take Washington off the hook for Kansas’ expenses. Those included expenditures for keeping the peace, which Sumner attributed with considerable justice “on account of the pretended Territorial Government.” Second, Kansas showed the ability to defend itself during the Wakarusa War. That argued for its passing the stage of an enfeebled state in need of a direct patron. Third and last, Sumner pointed out that Kansas had “the pecuniary credit” to afford to run its own affairs. 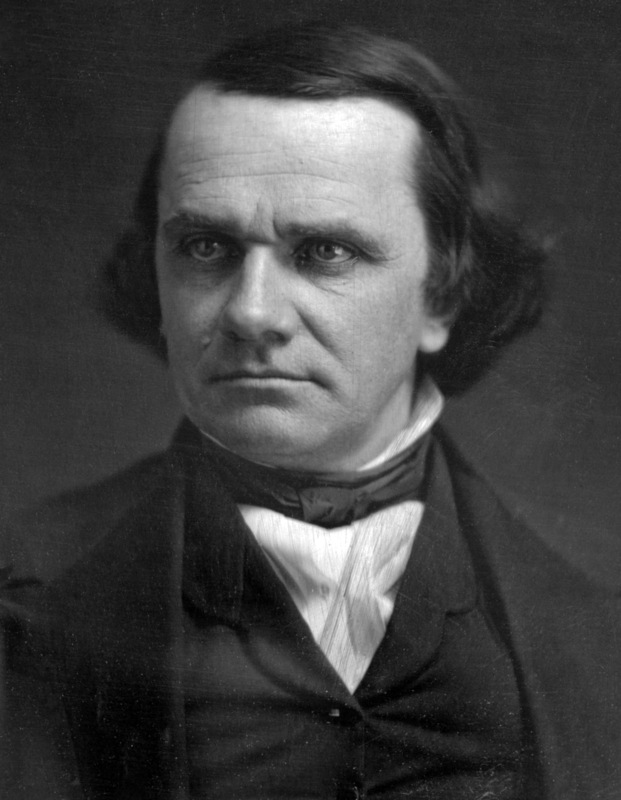 Anticipating objections, Sumner ran down them in short order. The Constitution left admission of states entirely to the whim of Congress, placing no test upon them save for not making states by carving land out of existing states without leave. (To answer the obvious question, West Virginia’s formation had the assent of the then-recognized government of the state.) Nor did precedent of law insist on a minimum population, though folk wisdom often thinks so. Even if it did, Kansas had more people in 1856 than Delaware or Florida and so easily matched the customary bar. One might object that Kansas did not have enough people to qualify for a single member in the House, according to then-current ratios. Florida gained admission despite that. Furthermore, the ratio of representation changed regularly until unwise capping of the size of the House in the early twentieth century. 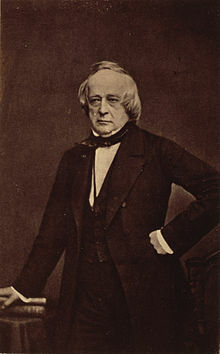 With that the case, Sumner argued that a controlling precedent found in the ratio at the time of the Louisiana Purchase ought to apply. 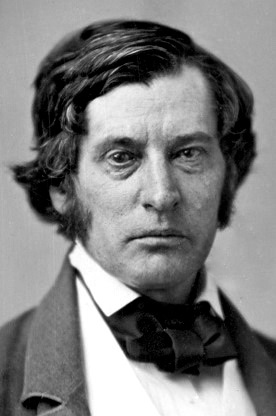 Likewise, while Kansas had a wildcat state movement Sumner could point to prior occasions where the Congress had respected such organizations and given them statehood. Most recently, California got that treatment. Previously, Michigan “now cherished with such pride as a sister state” did. Michigan, like Kansas, presented itself to Congress with all the usual officials and a constitution adopted without prior approval. Andrew Jackson, Thomas Hart Benton, and James Buchanan all endorsed Michigan’s statehood at the time, a fact remembered on the state’s maps. In the end, only eight Senators voted against Michigan and the chamber even voted full compensation for the senators forwarded with Michigan’s application retroactive to the start of the session. To deny Kansas now would “bastardize Michigan”. 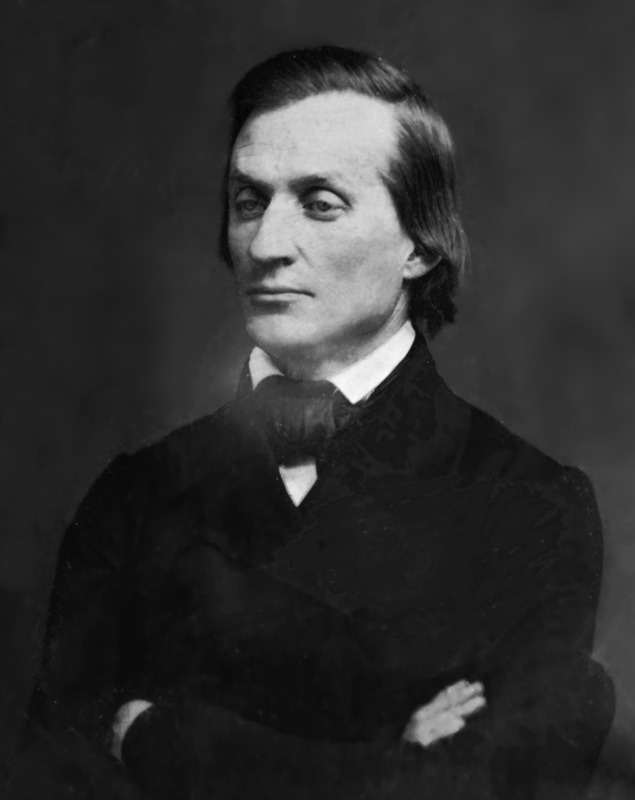 Having just cast the proslavery Kansans and their Missourian allies as manipulative geniuses who took their every action with the intent of producing reactions which would help the free soil movement sabotage itself, C. Stearns proceeded with the next act in his original composition How To Lose Kansas Without Really Trying. Again: the pro-slavery party are not gods in intellect; by any means; as witness their Nero-like legislation, which bears the palm of stupidity as well as that of baseness. They are no better judges of what will harm them, and help us, than we ourselves are. Stearns previous argument relied on the proslavery men having better political judgment than the free state men. One wonders if Stearns read his own writing. How can we square his argument that the proslavery men would vent their outrage only so as to provoke the free state men into folly with his position that they have no more wits about them than anybody else? I can only speculate that Stearns thought slavery’s friends quite a bit smarter than its foes, but didn’t want to put it down in writing. He must have hoped that George Brown and his readers wouldn’t notice. let it be borne in mind that to be thrown upon our own resources after having assumed a hostile attitude to our Legislature, will be certain destruction to us. Let not folly or blind confidence in those assuming to lead us, influence us in this matter. The moment we organize as a State, and fail admission into the Union, that moment we shall fall a certain prey to our enemies. We might as well act with caution in this matter, and follow the advice of sterling anti-slavery men here and at the East, as to rush madly on under the guidance of interested politicians. Do you get the feeling that Stearns really dislikes the free state leadership? He only speaks of them to impugn their motives and insult their character and intelligence. When discussing strict practicalities, like the genuine threat of proslavery retaliation, he maintains the high opinion of himself but writes with a rather softer edge. 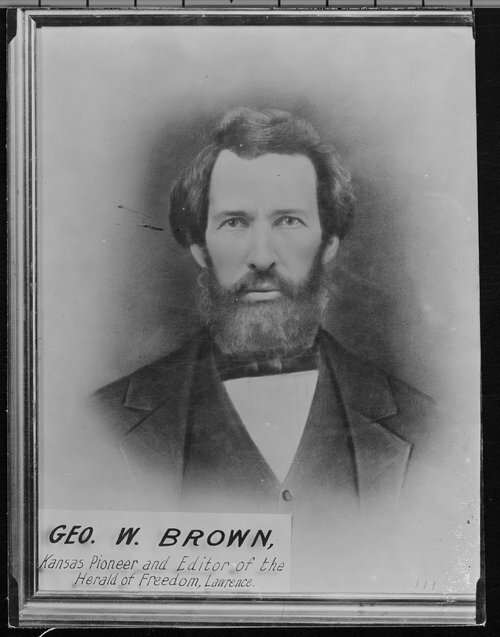 At the end of May, 1854, the minister to Central America, Solon Borland, and the United States commercial agent at Greytown, Joseph Fabens, both wrote to the Secretary of State, William L. Marcy, about recent events in Greytown. Fabens declined to mention how he’d tried to burn the town to the ground in the wake of Borland’s alleged injury. Marcy might not have known about that until the newspapers reported it late in the summer. He did know that if anybody hit Borland with a bottle, it happened because Borland intervened to protect an accused murderer from arrest. Borland himself declared that he cared not at all about whether or not Captain Smith, the murderer in question and an employee of the Accessory Transit Company, had killed the man. Considering Borland talked him into the killing, that took some cheek. Borland demanded justice for an injury that left not a mark upon him which he suffered in a confrontation that he initiated, based on a murder he encouraged. Fabens, working more for the Transit Company than the United States, dealt with Borland’s injury as almost an afterthought in his letters. But the murky real estate disputes between the Transit Company and Greytown had gone on for some time. For more than a year the Company refused to recognize Greytown’s jurisdiction. All its protests and lobbying through Fabens did not bring the George N. Hollins and the USS Cyane down from New York. Borland’s injury, and Faben’s dispatches declaring that the people of Greytown tried to seize and detain the minister, did. To hear Fabens tell it, a mob of “Jamaican negroes” formed to seize Borland and the broken bottle struck him in the face, drawing blood. Borland must have been a fast healer if this really happened, as others saw an uninjured face the next day. Whatever happened, the Navy issued orders to Hollins dated June 10. He would sail down with the Cyane and get satisfaction from Greytown. He should not spend too much time there, but should consult with Joseph Fabens to get the latest facts on the ground before acting. Whatever he did, he should try to prevent any loss of life or destruction of property. The Cyane arrived on July 11 and Fabens and Hollins conferred. Fabens shared that he’d told the Greytown authorities the Navy would soon arrive and they should have some kind of restitution for Borland’s injury and the Accessory Transit Company’s complaints ready. The Greytown government declined to give Fabens an answer. Possibly they felt less than sociable toward him due to his late plan to burn their homes and property to the ground. Furthermore, Fabens had it that the mob that injured Borland now entirely controlled the town. The amount of restitution that Fabens suggested to Hollins, which the latter accepted, went well beyond the agreed value of the property in question for the Transit Company. It certainly exceeded any reasonable sum one could ask for Borland’s uninjured face. 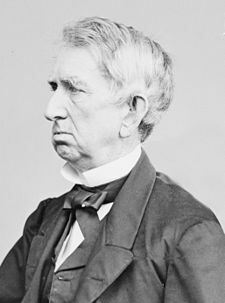 After repeated demands brought no answer Hollins accepted, he gave twenty-four hours’ notice that he aimed to disregard his instructions to avoid violence and destruction of property by bombarding the town. But Hollins had something of a soft touch and abided by one third of his instructions by trying to avoid killing anybody. He instead set up facilities for everyone to relocate to safety before the shooting started. The pleas of the commander of a much smaller British warship present did nothing to move Hollins. He had it in his power to destroy Greytown and destroy it he would. That Greytown had no defenses against a naval bombardment did not enter into it. Nor did Greytown’s position in the United Kingdom’s Mosquito Coast protectorate. Nor did American commitment in the Clayton-Bulwer Treaty to maintain the neutrality of any route for a canal across Central America matter. The next morning, Hollins performed an intermittent bombardment, with frequent breaks for someone from Greytown to come over with cash on hand, or at least promises to pay. No one did and over the course of a few hours Hollins fired into the town and then ordered a party ashore to burn the rest. The United States Navy, on behalf of Solon Borland for injuries he probably did not suffer and on behalf of the Accessory Transit Company, for grievances where the facts generally stood against it, destroyed Greytown entirely. It did so over the protests of the British and wildly out of proportion to any injuries suffered. 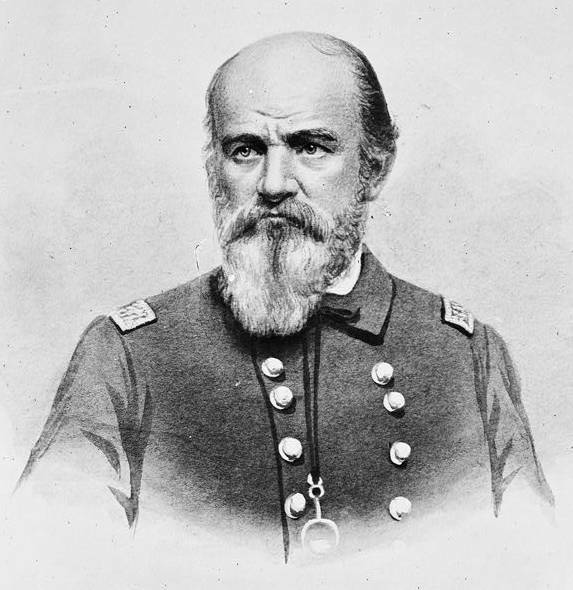 Borland might call Greytown a nest of pirates, but George N. Hollins destroyed a defenseless town because it refused to pay tribute. Original Stealing Cuba: parts 1, 2, 3, 4, 5, 6 and revisited. In revisiting the Cuba filibusters, I dropped one thread of the narrative that I should pick back up. 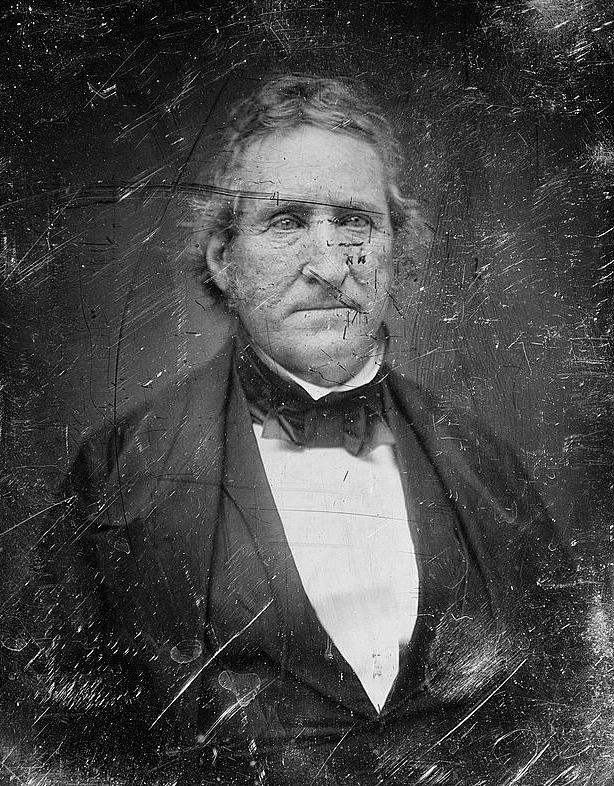 Back in May of 1854, Louisiana’s John Slidell stood in the Senate and presented a resolution that the Congress should give Franklin Pierce the power to set aside the Neutrality Acts and generally tell John A. Quitman to go on his merry way. 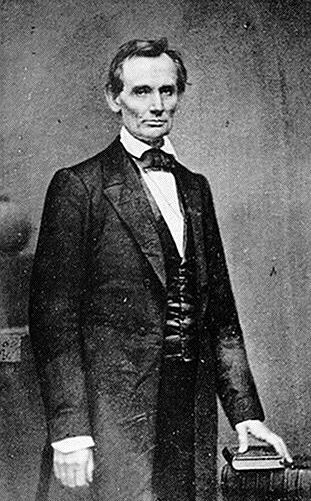 He did so in support of a like resolution by the state legislature that appointed him and on the grounds that the British had a conspiracy (parts 1, 2, 3, 4) with the Spanish to Africanize the island and turn Cuba into a base from which to harass American shipping and foment servile insurrection in the South. Slidell’s resolution did not win the approval of the Congress, even after Pierce asked for extraordinary powers relating to Cuba later on in August. All of this leaves unanswered why Congress did not grant Pierce those powers. The same Congress assented to at least a reduced form of the Gadsden Purchase (parts 1, 2, 3) so it did not have a dogmatic opposition to territorial expansion. 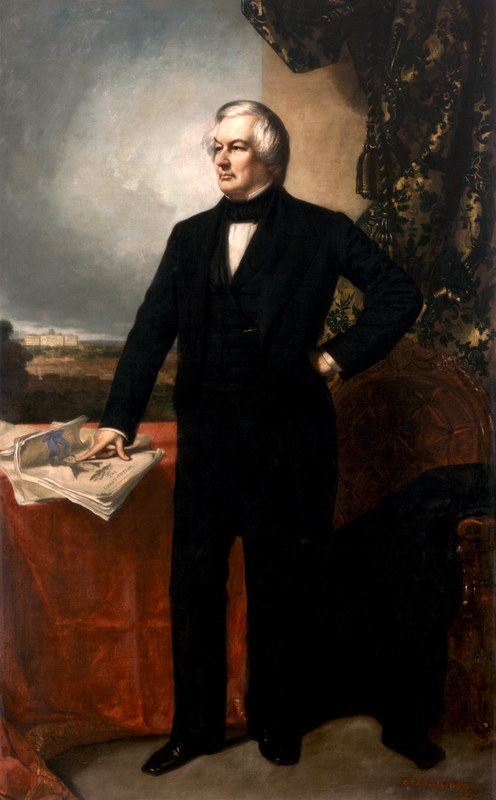 Pierce ran on an expansionist platform and promised more land in his inaugural address. Everybody in 1852 expected the Democracy to pick up where it left off in 1848 and continue painting the map red, white, and blue. Certainly the Kansas-Nebraska backlash complicated those efforts, but at least some Northerners would happily sign on to more American territory still. Most everyone believed that the United States had some kind of natural destiny to dominate the continent. What happened? Nicaragua happened. As gentle readers might recall (parts 1, 2, 3, 4, 5), few people wrote home from Nicaragua to comment on its remarkable stability and strong government. Internal divisions and rugged terrain did it no favors on those fronts. Yet Nicaragua sat astride a quick route across the Central American isthmus and thus drew the intense interest of major commercial powers like the United States and the United Kingdom keen on skipping the long haul around South America to reach the Pacific. A steamer line already ran down Nicaragua’s San Juan river to Lake Nicaragua and from there wagons and stagecoaches took goods and people the few miles to the Pacific coast. 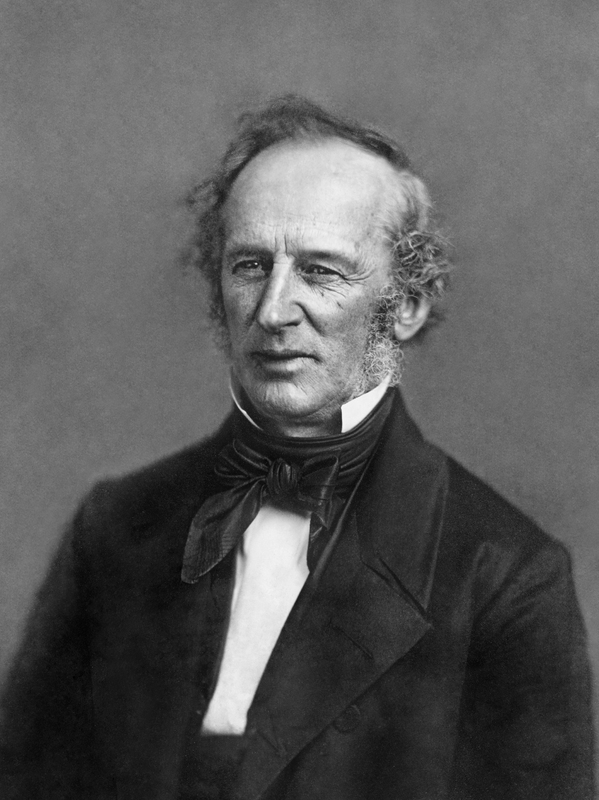 Cornelius Vanderbilt set up a steamer route between New York and the Pacific using Nicaragua to get people to California for the gold rush and his Accessory Transit Company continued to operate that route. 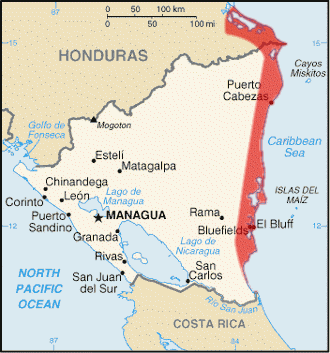 The United States thus had an obvious interest in Nicaragua. The United Kingdom had ill-defined claims to various parts of Central America, including British Honduras (now Belize) and the adjacent Mosquito Coast (now the Caribbean coast of Honduras and Nicaragua). Those claims overlapped with both the Nicaraguan isthmus route and the oft-proposed canal to make a direct sea connection to the Pacific. The Americans very much did not want the British to dominate an eventual canal through their control of its eastern terminus, a prospect made still more dreadful by various bouts of anglophobia in the American political class. That anglophobia had some informing it. The British had moved into the Mosquito Coast when it looked like the United States might take larger sections of Mexico than it in fact did. The British guarantees to Spain over Cuba fit in here too, as did British efforts to deny the United States a naval base in the modern Dominican Republic, British efforts to preserve Hawaiian independence, British protests over a commercial convention with Ecuador, and real and perceived past efforts to establish some kind of protectorate over Texas. It looked very much like Albion intended to contain the United States and deny it its geographic, racial, political, and religious destiny.